All classes will be $15 + supplies, unless otherwise stated in the description. Pre-registration is required at least 1 week before class time. Fees must be paid at time of registration. You must notify us 2 days before a class to cancel – You will receive credit toward another class. We ask that your fabrics, patterns, and supplies be purchased from Creative Notions for use in our classes. If you choose to use other fabrics, there will be an additional charge unless discussed with Connie. You will receive a 15% discount on all materials purchased for the class only. A minimum of 3 people per class (or at Connie’s discretion). Ask at time of registration, and we will make up kits for each class project. Classes are one night unless participants need more time or it is listed. Information and cutting instructions. Will make a small project. Class is Thursday, January 31, 5:00 – 8:00 p.m. OR Saturday, February 2, 10 a.m. – 1 p.m.
Make a quick little basket that is a cute addition for any room or any age. Make it in red and white and use it for Valentine’s Day!! 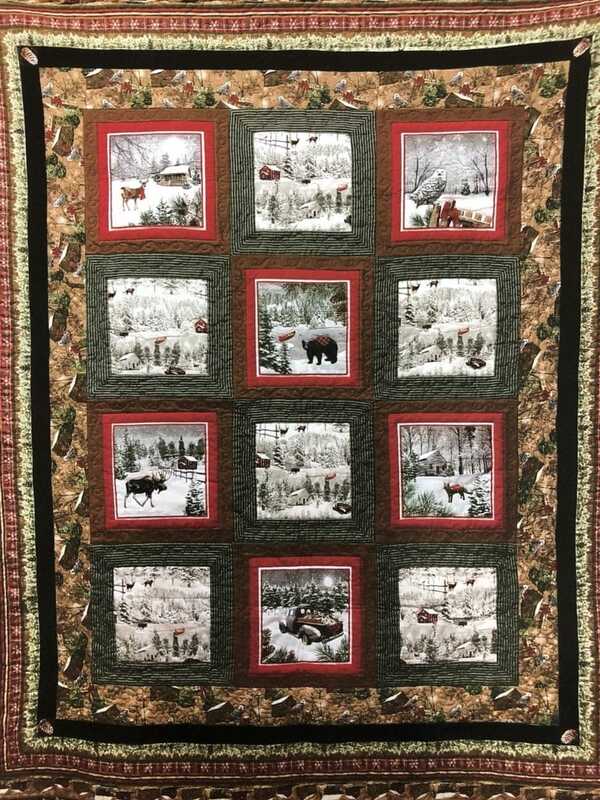 Class is Thursday, February 7, 5:00 – 7:00 p.m.
“Rustic Charm” – A cuddly, cozy flannel quilt (73″ x 87″) that would be perfect for the men or boys in our life! Join us Wednesday, February 6, 1 – 4 p.m. Simple to do! Come in and we will help you cut it out and show you how to sew it together. Then you can take it home and have some fun!! Class will be Saturday, February 16, 10 a.m. until 2 p.m.
Have you seen a pattern and thought you might need help to create that project? Let us know which pattern it is and we will study it and then offer it as a class! Let all your friends that are interested come to join you too! We’ll make sewing a party!! Give us a call with your idea.